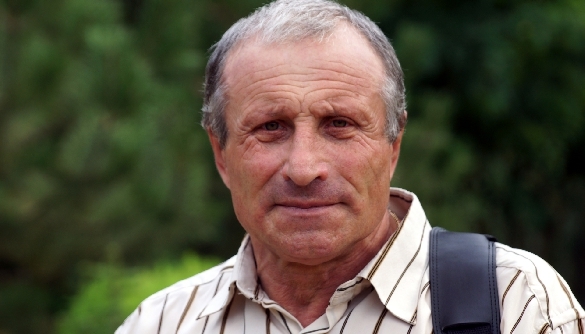 Ukrainian journalist Mykola Semena was de facto refused permission to leave the occupied Crimea in order to receive medical treatment at the neurosurgery and cardiology clinics. Last year Mykola Semena was sentenced to two and a half years of suspended imprisonment, with three years of probation for “public incitement to violate the territorial integrity of Russia”, the grounds for launching a criminal investigation being his professional activity as a journalist. In his publications, Mykola denied the legitimacy of Russia’s occupation of Crimea and referred to principles of international law. Mykola Semena is currently registered for supervision with the so called “criminal inspection department” which exercises constant control over his activity, his use of the Internet and the communication networks, as well as his travel ban. The court prohibited him from conducting any public activity for a period of two years, which virtually makes any professional journalistic work impossible. Mykola Semena is 68 years old; the long-lasting political persecution caused considerable harm to his health and took its toll on his state of mind. The Crimean government de facto received all the medical documentation confirming that he needs to be hospitalised and undergo neurosurgical and cardiological treatment in inland Ukraine. In light of this, the refusal to grant him a travel permit for treatment seems to be nothing else than cynical derision. Last year’s European Parliament Resolution on the cases of Crimean Tatar leaders Akhtem Chiygoz, Ilmi Umerov and the journalist Mykola Semena demanded that Russia dismiss all charges against Semena, stop the legal proceedings and not impede his movement. Crimean government is blatantly ignoring these demands and continuing the political persecution against dissidents. We hereby call on the Commissioner for Human Rights, the members of PACE’s October session and the member states of the Council of Europe to raise the issue of Russia granting Mykola Semena a permit to leave the occupied Crimea to undergo treatment at the neurosurgery and cardiology clinics in inland Ukraine. We hereby call on the OSCE Representative on Freedom of the Media to take every measure to solve the problem as soon as possible. We appeal to the international organisations defending the rights of journalists to publicly react to this shameful situation.